Celebrate Irish culture with great music, food, beer and do some early Christmas shopping at The Maryland Irish Festival. This 3-day family-friendly event begins Friday, November 9, 2018. Held at the Maryland State Fairgrounds in Timonium, the event features local, regional and international Irish music, Irish dancers, traditional cuisine, cultural exhibits and workshops and a wide variety of vendors of Irish goods. There will also be cultural and historical displays and performances, beer and whiskey tastings, a popular “Speaker Series” and a large kids play area with bouncy castles, activities and games. Click here to see the entertainment schedule. The Maryland Irish Festival is presented annually by Irish Charities of Maryland, a 501 (c)(3) Charitable Organization. 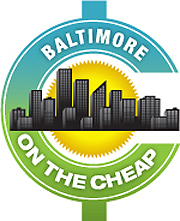 The admission fee to the festival supports many charitable causes of the Maryland Irish community. Cost: $10 – $25 You can buy tickets online here.